The Illinois Department of Financial and Professional Regulation (“IDFPR”) is announcing that it has simplified forms for applicants with criminal convictions to encourage participation in the applicant review process and dispel assumptions that most individuals with a criminal conviction are automatically denied licensure. While less than one percent of applicants with a conviction are denied licensure, many do not complete the requisite review process because it is believed to be overly complex, burdensome and intimidating. 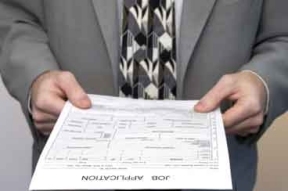 To address the issue and encourage applicants’ participation, IDFPR has made the following changes: use of less formal “legalese” in cover letters; inform applicants that their application has been referred to prosecutions for review with prosecutions’ contact information; and updated correspondence to point out that the conviction does not usually result in denial of licensure. This past April, IDFPR joined forces with the Illinois Department of Corrections to announce a new initiative that streamlined the professional licensing process for men and women being released from prison. Offenders who’ve completed the required coursework for Barbering and Cosmetology may now apply for their professional license and meet with the licensing board via video conference up to six months before their release or parole date. The first ex-offender to receive his Cosmetology license under the streamlined inmate licensure program occurred on October 4, 2016. For more information on IDFPR, please visit their website at: www.idfpr.com. Follow IDFPR on Twitter and Facebook to stay current on the latest from the state’s regulatory agency.